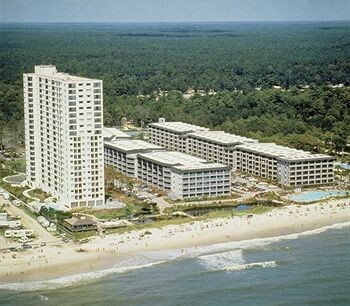 Property Location When you stay at Myrtle Beach Resort by Beach Vacations in Myrtle Beach, you&apos;ll be by the ocean and convenient to Big Laughs Theatre and Myrtle Beach State Park. This beach condo is within close proximity of Grand Theatre and Wild Water and Wheels.Rooms Make yourself at home in one of the air-conditioned rooms featuring microwaves. Rooms have private furnished balconies. Complimentary wireless Internet access keeps you connected, and cable programming is available for your entertainment. Conveniences include coffee/tea makers and sofa beds, as well as phones with free local calls.Rec, Spa, Premium Amenities Dip into one of the 4 outdoor swimming pools or 2 spa tubs and enjoy other recreational amenities, which include outdoor tennis courts. This condo also features complimentary wireless Internet access, an arcade/game room, and gift shops/newsstands.Dining You can enjoy a meal at a restaurant serving the guests of Myrtle Beach Resort by Beach Vacations, or stop in at a snack bar/deli. Quench your thirst with your favorite drink at a beach bar.Business, Other Amenities Featured amenities include a 24-hour front desk, laundry facilities, and an elevator (lift).